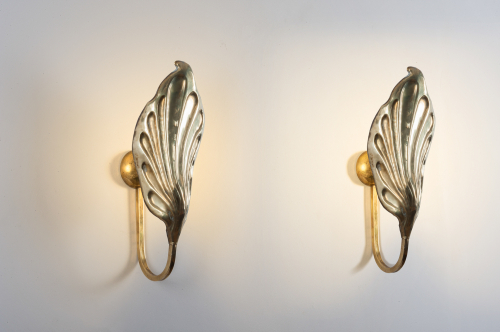 Pair of brass leaf wall lights. Single lamp holder. Certified and rewired. Please note that I have 2 identical pairs available.